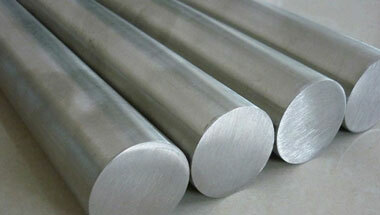 Inconel Alloy 600 Round Bars & Rods Manufacturer, Inconel 600 Round Rods Supplier & Exporter in India. Manufacturer & Exporter of Inconel Alloy 600 Round Bars & Rods, Alloy UNS N06600 Hex Bars, Inconel 600 Square Bars & Alloy 600 Round Rods Supplier in India. Neon Alloys is the prominent Manufacturer & Exporter of Inconel 600 round bars & rods. Our Inconel 600 round bar are highly appreciated for its dimensional accuracy, superior finish, quality, durability and high tolerance. Inconel® 600 is a nickel-base alloy with excellent carburization, and good oxidation resistance at elevated temperatures. The presence of high nickel content also makes it retain considerable resistance under reducing conditions. Our Inconel 600 Round bars & rods used in various industrial applications industries ranging from basic industries such as Sugar, Paper, Textile, Dairy, and Engineering to more complexes such as Chemical & Fertilizers, Petrochemical, Power Generation, Oil & Gas, Nuclear Industries for their longer service life and effective performance. Inconel Alloy 600 Rods, Inconel Werkstoff Nr. 2.4816 Round Bars, Inconel 600 Round Rods, Inconel Alloy 600 Hexagonal Bars, Alloy 600 Bright Bars Supplier & Inconel 600 Bars Exporter in India. Thailand (Bangkok), Turkey, UAE, Germany, Iraq, Africa, London, Algeria, Tunisia, Houston, South Africa, Dubai, Kazakhstan, Mozambique, Ethiopa, Kuwait, Iran, Brazil, Ghana, Colombia, Democratic Republic of the Congo, Sudan, Peru, Vietnam, Italy, Australia, Chine, Argentina, Egypt, Israel, Angola, Indonesia, Nigeria, Trinidad and Tobago, Malaysia, Sri Lanka, Bahrain, UK, Morocco, Mexico, Russia, Uganda, United States, New Zealand, Azerbaijan, Jordan, Canada, Cameroon, Saudi Arabia, Venezuela. Aqaba, Dammam, Hong Kong, Dubai, Accra, Bamako, Jeddah, Kinshasa, Cape Town, Tehran, Subra al-Haymah, Maputo, Bulawayo, Port Harcourt, Lusaka, Cairo, Kolwezi, Abu Dhabi, Pretoria, Fez, Harare, Sharm el-Sheikh, Maiduguri, New York, Benin, Singapore, Ibadan, Istanbul, Kampala, Omdurman, Alexandria, Tel Aviv, Kano, Kaduna, Dakar, Mecca, Mogadishu, Jerusalem, Lubumbashi, Conakry, Dar es Salaam, Mbuji-Mayi, Amman, Byblos, Data from the UN, Abidjan, Addis Ababa, Soweto, Port Elizabeth, Zaria, Cairo, Giza, Rabat, Muscat, Johannesburg, Antananarivo, Beirut, Freetown, Nairobi, Yaoundé, Douala, Bethlehem, Brazzaville, Casablanca, Manama, Khartoum, Luanda, Durban, Ouagadougou, Riyadh, Algiers, Doha, Lagos, Colombo, Tripoli.